Silkscreen print, 19″ x 25″. 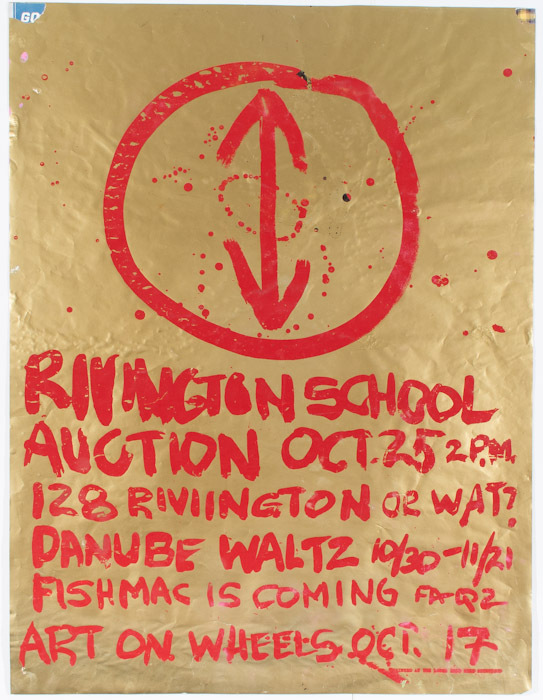 According to Linus Coraggio, 100 of these posters were made to promote a Rivington School benefit auction that was held at Gallery Onetwentyeight, the gallery founded by Kazuko Miyamoto in 1986 (and still operating at 128 Rivington). The poster features the Rivington School’s “six o’clock” logo, a simplified clock face with hands set to six o’clock, alluding to the hours of No Se No’s all-night parties (six p.m.–six a.m.). The phrase or wat was a piece of Rivington School slang, used to change the subject at dull moments. 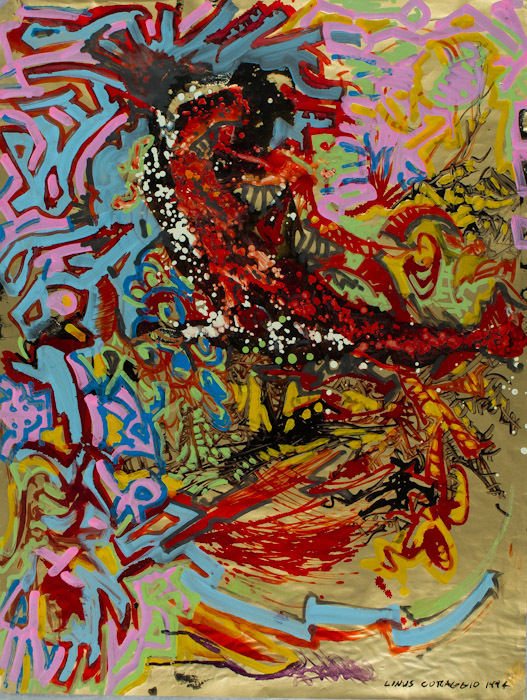 The gold paper was lying around the Lower East Side Print Shop, and salvaged for the poster. The back was later re-used by Coraggio as the surface for a painting sketch. An added bonus: When Coraggio discovered a few of these posters seven years later, he used their backs for paintings. This one is signed and dated. The purchaser will face a tough choice: which side to display.